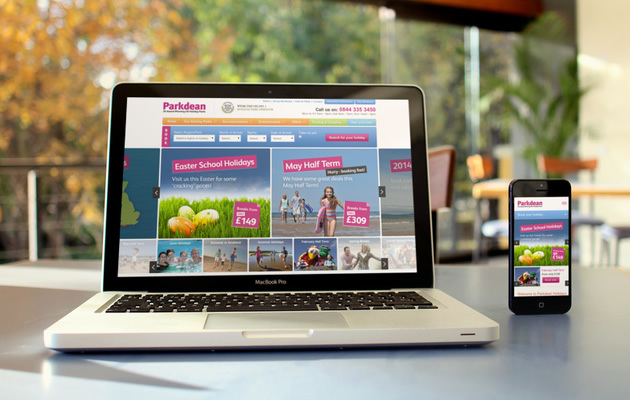 To take advantage of the increase in visitors using tablets and mobile phones on their website, Union Room have launched a new responsive website for Parkdean which helps to provide better access to content on non-desktop devices. 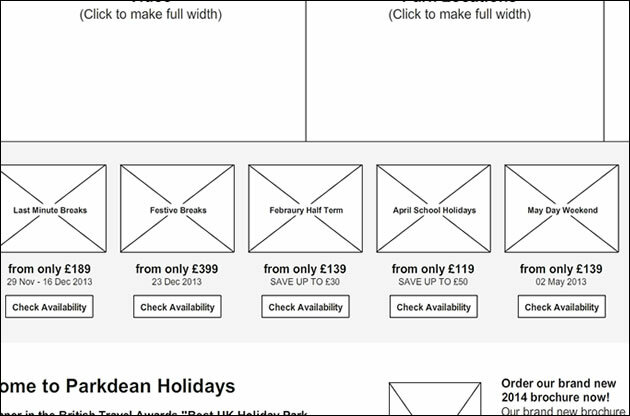 Focussed solely on the homepage of the website at this stage, the new design provides Parkdean with improved flexibility in featuring promoted holiday periods via a new carousel, as well as dramatically reducing the amount of content on the homepage for a more focused experience. Using similar processes to projects such as Story Homes and Agents Property Auction, we underwent a thorough review of the current homepage and looked at which content was popular with users. This provides us with a content hierarchy that makes it easier to select content that we will, or will not, include on the new homepage. Once we have a list of content items in hand, our team know which elements we will include on the new homepage and also have some basic information regarding the importance of each of these items. With this information at our disposal, we now begin to think about interaction design. We use MockFlow to design interface concepts. We find it easy to use and it’s collaboration features make it easy for stakeholders to review the designs that we create. This is the stage of the project where our whole team likes to get their hands dirty, jumping in a room and throwing some ideas around for the way that we can present content to the user. We tend to produce a lot of designs initially, reducing this down to a select few after an internal review, and present our ideas to the client in a wireframe workshop. This meeting is a chance for everyone to discuss the advantages and disadvantages of each concept, and for the client to have a genuine input into how the website will function. The new design of the homepage really shows off Parkdean’s great imagery, and allows the business to promote key holiday periods via the main carousel. The homepage is the first in a number of responsive projects that we have planned for Parkdean, so keep an eye our on our blog for more news.